"I'm slowly dieing in a vat in my garage!!!!!!" @Unicorn456, AND AWAAAYY WE GO! AND AWAAAYY WE GO! LICK LICK LICK MY BALLS! 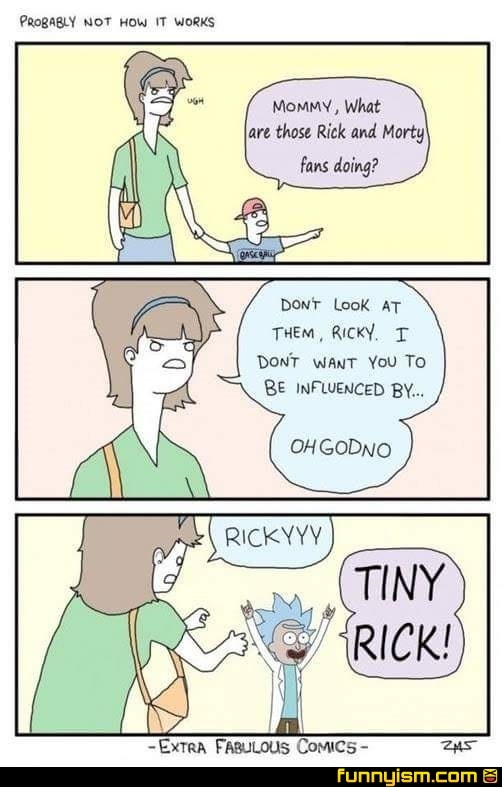 @Warm Buttery Toast, Jeez Rick, y, you can't just say F you to your daughter! Let me out! Let me out! This is not a dance!